Gupta Empire Achievements: It is not for nothing that the Gupta regime been referred to as the “Golden period in the history of ancient India.” A careful look at all the achievements of this period, it is amply clear the reason for such an attribution. 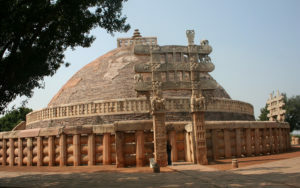 From architecture to astronomy, infinite landmark achievements have taken place during the Gupta rule. During the Gupta regime, education included grammar, composition, logic, metaphysics, mathematics, medicine, and astronomy which became highly specialized and reached an advanced level. The Parvati temple at Nachana, the temple of Bhitaragaon, the Vishnu temple at Tigawa, the Shiva temple at Bhumara and the Dasavatara temple at Deogarh are some of the landmark examples of the Gupta style of temple architecture. Apart from all this, there were a number of secular architectures also which, however, could not be maintained. Beginning with arithmetic, the Indian numeral system which is many times wrongly contributes to the Arabs, who took it from India to Europe where it replaced the Roman system along with the decimal system which is, in fact, pure Indian inventions of this period. This is the number writing system used throughout the world today. 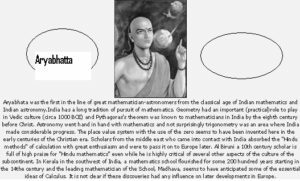 Further, Scholars of this period include Varahamihira and Aryabhata, who is believed to be the first to come up with the concept of zero and also developed the decimal system based on the number 10. They also created a number writing system that was later adopted by the Islamic Empire. In the field of Astronomy also, it was scholars like Varahamihira and Aryabhata who believed that the Earth revolved around the Moon. They also made a detailed study of solar and lunar eclipses. Aryabhata, a noted mathematician-astronomer of the Gupta period proposed that the earth is not flat, but is instead round and rotates about its own axis. He further also discovered that the Moon and planets shine by reflected sunlight. Instead of the prevailing cosmogony in which eclipses were caused by pseudo-planetary nodes Rahu and Ketu, he explained eclipses in terms of shadows cast by and falling on Earth. Aryabhatta’s expositions on astronomy in 499, moreover, gave calculations of the solar year and the shape and movement of astral bodies with remarkable accuracy. These and the other scientific discoveries made by Indians during this period about gravity and the planets of the solar system spread throughout the world through trade. 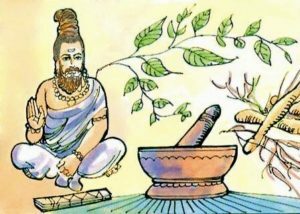 In medicine, Gupta physicians developed herbal remedies to treat various illnesses. They also developed a form of plastic surgery for the treatment of facial injuries. Physicians vaccinated against smallpox, a practice later used in China around the10th century and in Europe in the 17th century. Charaka and Sushruta wrote about a fully evolved system, which resembled the works e of Hippocrates and Galen in Greece. Although progress in physiology and biology was hindered by various religious injunctions as according to various beliefs contact with dead bodies was highly discourages due to which scientific dissection and anatomy could not be practiced. In spite of all this, Indian physicians excelled in Pharmacopoeia, Caesarean section, bone setting, and skin grafting. Doctors also invented several medical instruments and even performed operations. Kalidasa, who was a great playwright, and who wrote several plays such as Shakuntala, which is said to have inspired Goethe, and also marked the highest point of Sanskrit literature is also said to have belonged to this period. Apart from this, the famous Sushruta Samhita, this is a Sanskrit redaction text on all of the major concepts of ayurvedic medicine with innovative chapters on surgery dates back to the Gupta period as well. Gupta literature also boasts of many fables and folktales which came to be written in Sanskrit. 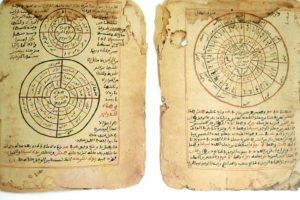 These stories spread widely west to Persia, Egypt, and Greece, and became the basis for many Islamic literary works such as Ali Baba and the Forty Thieves and Aladdin and his Magic Lamp. 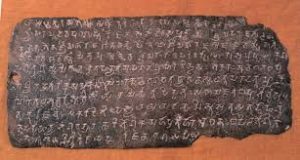 The ancient Gupta text Kama Sutra is widely considered to be the standard work on human sexual behavior in Sanskrit literature written by the Indian scholar Vatsyayana. 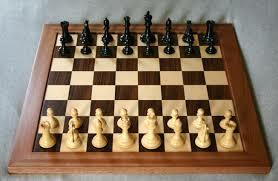 The game of is also believed to have been originated in this period, where its early form in the 6th century was known as Caturanga, meaning the “four divisions [of the military]” ” infantry, cavalry, elephants, and Chariotry ” represented by the pieces that would evolve into the modern pawn, knight, bishop, and rook, respectively. Unlike the Mauryan counterparts, the Gupta government was a highly decentralized one with the king at the top of the hierarchical structure. The entire territory was divided into different provinces with a Viceroy who was appointed to look after the entire administration. Apart from this, in the villages, there was a headman along with few elderly members which worked as a council. Hence, a lot of discretion was given to these Viceroys which did not happen under the Mauryan rule. The field of philosophy also attained great levels during the rule of the Guptas. The main focus in philosophy was to achieve certain ends of higher life which were the life of the spirit. The principle of Moksha or salvation was widely practiced and taught. Apart from this, there also emerged the concept of “Mimasa” which implied the reasoning which has to be adopted in order to understand the hint of a particular word or sentence. Like in case of other dynasties, the Gupta Dynasty also declined due to weak rulers and a series of invasions. In spite of all this many of their culture as well as intellectual achievements were saved and transmitted to other cultures and have managed to stay alive till today and have also been used as a foundation to conduct further research by the scientists of today as well.